Handling Conflict and Confrontation in Secondary Classrooms, Getting Their Attention! Classroom management is key to a successful teaching career. This book has survival advice for NQTs as well as ideas to develop the skills of more experienced teachers. 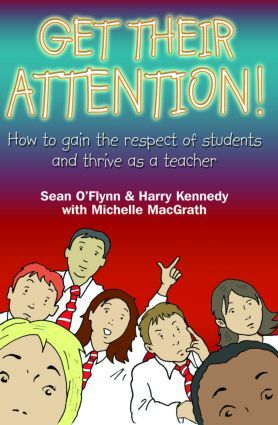 It should: appeal directly to the reader with engaging examples from real classrooms; help readers to cope with every aspect of school life, including the staff room and teacher/parent meetings; and enable readers to pre-empt general classroom management problems.